Fresh food & flowers on Olympia's east Side. From our farm to your table. Plant Starts – Grow Yer Own! 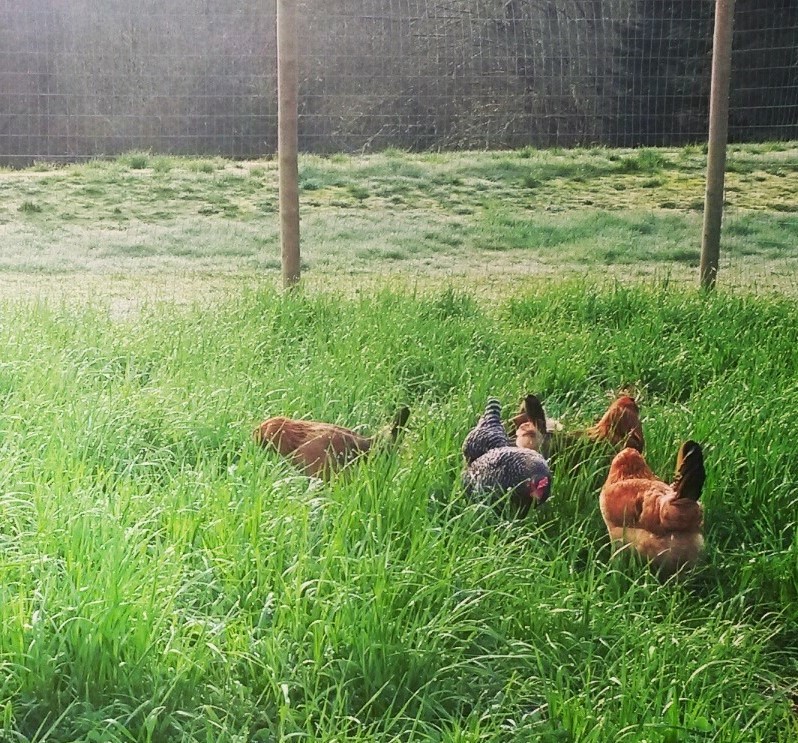 The ladies have moved into high gear, and we’ve got a surplus of pastured eggs! $6 a dozen. Available today during the plant sale, 9am-2pm, or call the farmer for pickup at 360.338.8654. Grow Yer Own – Plant Starts for Sale! We are bursting with baby plants and the annual farm sale begins next week, April 20 and 21! Saturdays and Sundays 9am-2pm until we sell out! Check out plant varieties and prices on our webpage! Well, actually, we’re putting the lime (stone) into our soil to adjust the ph for happy, healthy plants, just like the doctor ordered 🙂 Great soil is really our secret to delicious vegetables – you are what you eat, right? All the way down the line! If you are interested in 18 weeks of delicious veggies and beautiful flower bouquets, check out our CSA, and let us be your farmer. If you have been thinking about signing up for a 2019 CSA from Urban Futures Farm, today is a great day to do it! We only have a handful of shares left and we would love to share our harvest with you! Those of you in Oly know that we’ve had near 18″ of snow since Friday, which is NUTS! We’ve now passed through all the stages of wonder, nostalgia, muscle memory (Colorado shoveling! ), and now disbelief as we keep clearing snow off the high tunnel (AND the driveway AND the deck) only to gave it pile up again just as quickly. The only member of our winter crew still experiencing joy and awe is Loki, who seems to be built for snow. So instead of cold, wet gear and sore muscles, the image I’ll leave you is of a farm dog in pure bliss. Stay safe and warm out there! 2019 CSA shares still available – reserve yours now! Spring greens, summer tomatoes and pumpkins for fall means our work starts now! This weekend we’re starting seeds in the greenhouse, pruning fruit trees and pulling overwintered weeds! Why not let us be your farmer? We’re right in the neighborhood! Sign up now for 18 weeks of veggies, fruit and flowers direct from our farm to your table. Learn more or sign up HERE. With so much uncertainty in the world, isn’t it comforting to know where your food comes from? 4 simple words to live well, as proposed by a recent article in the New York Times. 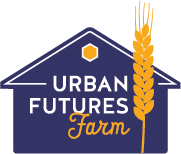 At Urban Futures Farm, we take nourishment to heart – whether it’s nurturing our soil for healthy, vigorous plants, or choosing the most delicious varieties of produce for ourselves and our customers. Community Supported Agriculture (CSA) is a great way to commit to nourish yourself and your family while helping your farmer prepare for the coming season. Plan ahead by booking 18 weeks of delicious, nutritious produce, fruit and flowers. Food for the body, food for the soul! You’ll find more information and an order form on our website. And Happy New Year! Whoops! That’s 360.338.8654 to arrange picking. Cheers! Fresh hops available now! U-pick, $5 per lb. Cascade, Hallertauer, Chinook, and Bush Heritage. Call or text 360.338.8654 to arrange picking. Green Beans – this is the week! What's Fresh? Sign up for the Farm Blog! Enter your e-mail address, and we'll send you e-mails about what's happening on the farm! Follow along as we share what we're planting and harvesting and what's fresh now! New farmers and new napa cabbage. Right in the Northeast Neighborhood!